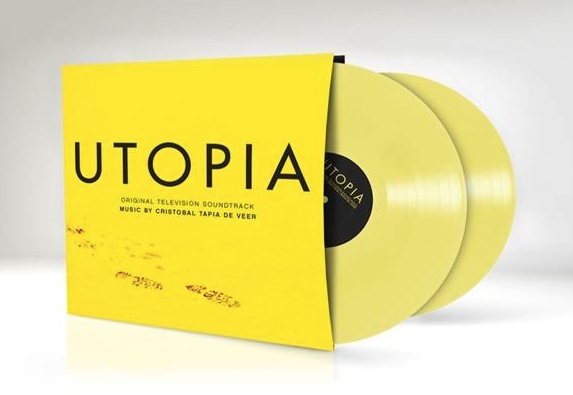 Silva Screen have released a vinyl pressing of Cristobal Tapia de Veer’s amazing music to the UK TV series Utopia. We think this is definitely one to get. In our view it’s easily one of the best TV Series scores of 2013. Silva’s release is a 2xLP release on yellow colored vinyl. It’s limited to 500 copies only! You can order direct from New on Vinyl now, it was released today (September 14, 2014). Note: At the time of this post you can also order via Ebay . However, given 70% of the copies available there have already sold, we’re thinking this won’t true for long.